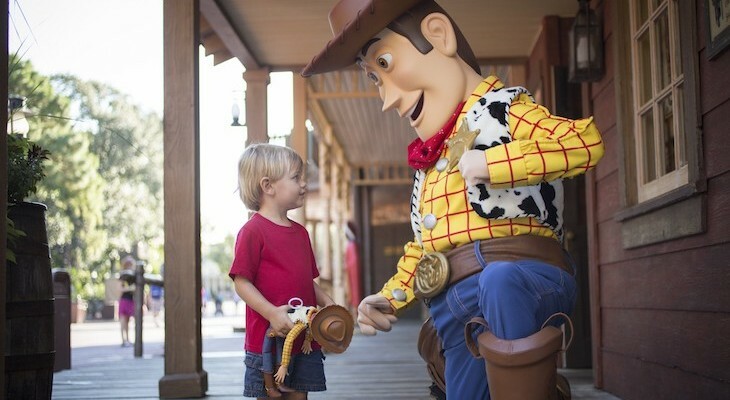 Every young boy’s dream of the Old West is here in Frontierland®, a regular Wild West settlement (or a movie version of one), complete with a saloon, trading post, general store, and hotel with plenty of hitching posts out front for the horses. “Home on the Range” plays while cast members, decked out in ten-gallon hats and jangling spurs, walk the planked decking and oftentimes have a shoot-out or two. There’s even a border town area with plenty of cactus, mesquite, and adobe buildings topped with red-tiled roofs. When you’re tired of the frontier take a raft over to Tom Sawyer Island for a bit of relaxation, or sit yourself down for a quick game of checkers. Inside this 200-foot, rocky outcropping resembling the scenery in Monument Valley is a zippy coaster ride offering visitors a peek at the mining country of the Old West. It's a nostalgic look at the Old West. A playground inspired by the famous books of Mark Twain. 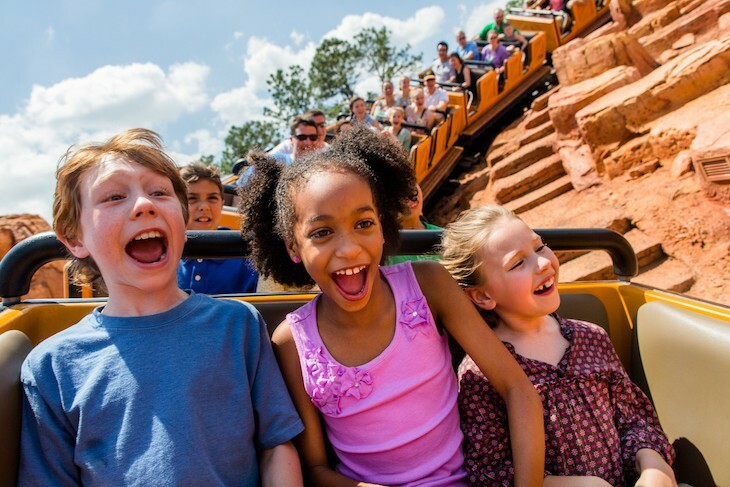 Inside Frontierland’s 200-foot rocky outcropping resembling the scenery in Monument Valley is a zippy coaster ride offering visitors a peek at the mining country of the Old West. 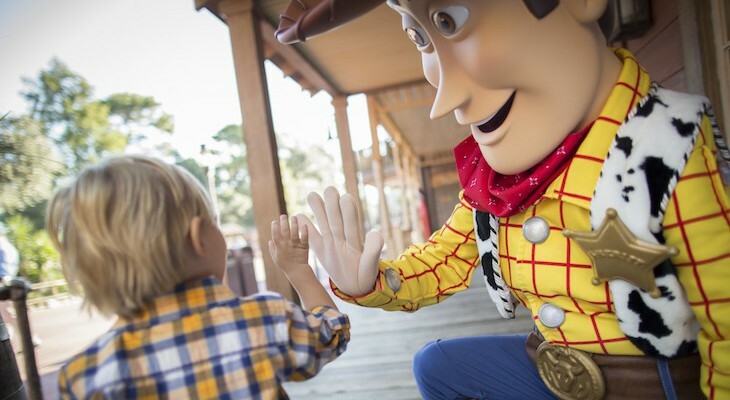 Disney rounded up an amazing assortment of old mining equipment to give a taste of the gold rush to this blast of an attraction. A new interactive queue passes through the mining company’s offices, into the explosives room packed with sticks of dynamite, through the foreman’s office for a look down into the mine, and then a test of the ventilation system with an “auto canary” for safety purposes. Finally you’ll board a fifteen-car “runaway” mining train led by a puffing and chugging engine for a wild journey through creepy bat caves, steaming geysers, bubbling mud pots, hazardous rockslides, rumbling earthquakes, and collapsing mine shafts. The details whip by so quickly you’ll have difficulty absorbing them all. For those who like speed but not big drops this is your coaster; there are plenty of curves and small dips, but all in all you’ll find it fairly tame and loads of rip roarin’ fun. 4-minute ride. Minimum height: 40 inches. Not recommended for expectant mothers or those with back or neck problems. Children under the age of seven must be accompanied by an adult. This is one ride guaranteed to put a smile on your face. 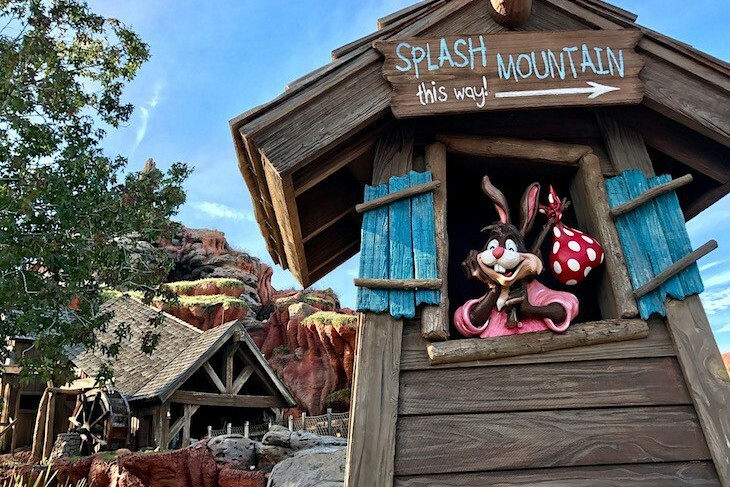 Who can resist the charms of Brer Rabbit, Brer Fox, Brer Bear, and the rest of the gang, even if it culminates in one heck of a plunge? Board a hollowed-out log to float through audio-animatronic scenes from Disney’s classic film Song of the South, splashing and dropping through Brer Rabbit’s Laughin’ Place. 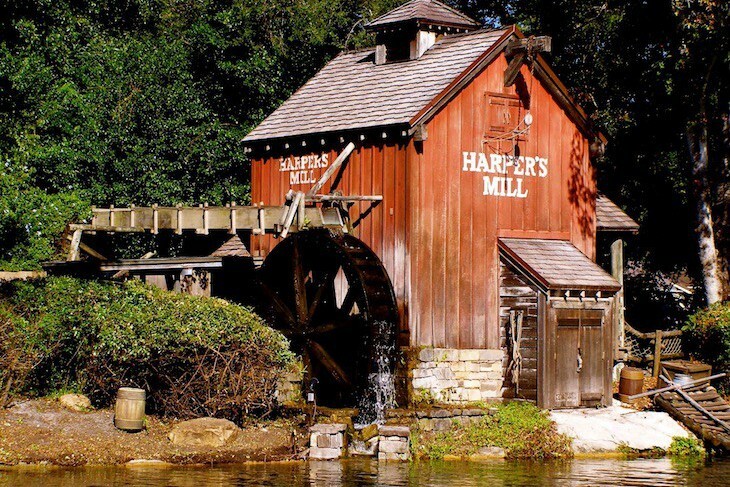 Drift ‘round the briar patch while toe-tapping music plays among the cabbages and carrots, jugs of moonshine, chirpin’ birds, and croakin’ frogs as you relax and bob your head to the beat. Inside the mountain Brer Fox and Brer Bear cause plenty of commotion along the way as Brer Rabbit outwits them at every turn. As you float through bayous, marshes, and caverns, all a delight to the eye with loads of colorful detail and too-cute cavorting characters, the addictive theme song Time to Be Moving Along plays. As the ride creeps upward, heed the doomsday warning of a gloomy pair of buzzards (“It's turning back time” and “We'll show you a laughing place”) just before the final doozy of a splashdown over a 5-story waterfall and into an oversized briar patch. It’s pretty tough to keep your eyes open (at least for first-timers) but try to grab at least a peek of the park from the top. And don’t think you missed the cherished Zip-A-Dee-Doo-Da tune; you’ll hear it on the way out. 11-minute ride. Minimum height: 40 inches. Not recommended for expectant mothers or those with back or neck problems. Cara's Tip: The drop’s really not as bad as it looks so don’t let it keep you from experiencing one of the best rides Disney has to offer.